Eight aspects to consider when starting out in the blogosphere, including why, what, how, portability, added content, community connections and workflow. A collection of thoughts regards the benefits of blogging. There is so much written about why to blog, this post starts with finding your reason. Often blogs are spoken about as some sort of fixed entity. Sadly, this focuses on the what overlooks how and why we blog in the first place. With the rise of various social media spaces in education, such as Facebook and Google+, blogs matter more than ever for they offer control and privacy that other spaces do not provide. Some break blogging down into tasks or unpacking the response. However, we often overlook the purpose and intent behind them. A reflection on my experiences of blogging in the classroom. Often it is presumed that there is only one way to write a blog, this post unpacks some other possibilities, including as a means of collecting links and resources. Exploring the different possibilities and potentials of collaborative blogging beyond the classroom. A reflection on the idea of a collaborative school blog to share practice. This is a short post on the importance of having a reason to blog, not just focusing on the platform. Continuing to explore different ideas and opportunities associated with blogging, I collected together some reflections on setting up my own instance of Wikity. A summary of some of the different blogging services available, what they enable and where their biases lie. Included are an array of resources to support. A summary of some potential platforms for student portfolios. I have discussed the benefits of blogging with Global2, as well as some of the intricacies, however, I have not unpacked how to get started. 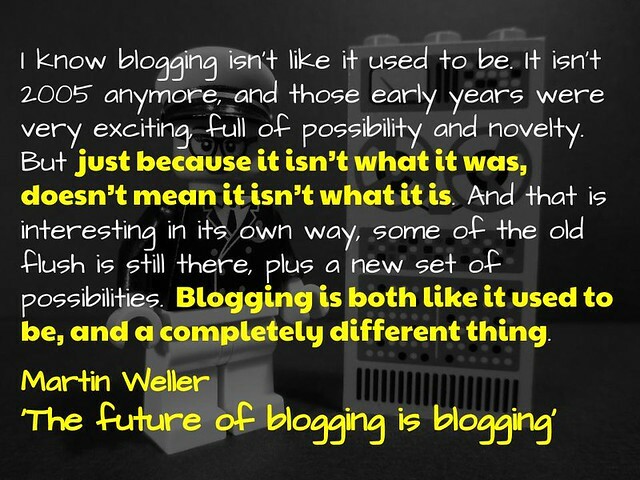 Some of the possibilities for blogging with Global2/Edublogs, as well as a list of resources to with getting going. Global2 provides the usual functionality of WP, with the added benefits of moderation, filtering, class management and network admin. This is my guide to getting going. There are many out there who say blogging is dead and that this is best epitomised in lack of dialogue and conversation. This post provides a different perspective by reframing the question. A question that does not get asked often enough is what it actually means to comment and what might it mean to bring the comment back? Although not directly on blogging, it captures some different ways to listen to blogs, rather than read them. An attempt at a guide to getting connected. Having a blog as a place for people to hear your story is an essential part of it. A post that explains some different ways to follow a blog, including subscribing, via an RSS Reader or an automated recipe using a platform like IFTTT. One of the challenges with a participatory environment is that without contributions there is no network. 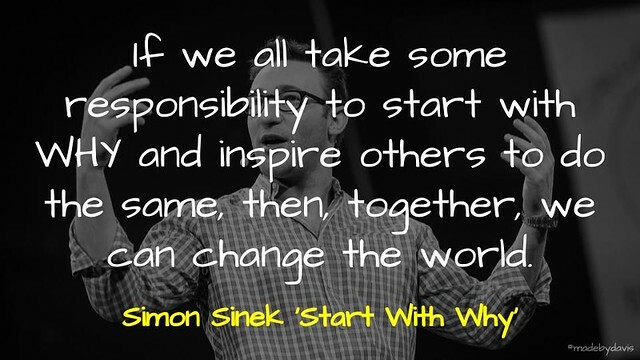 So it begs the question, are you really connected if you are not giving back? A reflection on the decisions associated with beginning a blog. Different blogging platforms enable different possibilities. Here is an account of some examples that I have created over time. Memories forgotten can often haunt us when later uncovered. This post is about three posts that had this effect. An extended response to Naomi Barnes’ post exploring the act of writing. 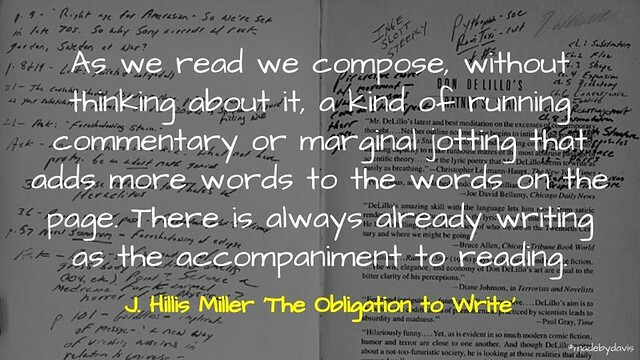 It is an insight into the process of writing, not the usual why. Rather than look back at the number of hits to measure the impact, here is a collection of comments from readers collected across the year. A list of programs with their positives and negatives for making visual quotes to add to blogs and other social media platforms. 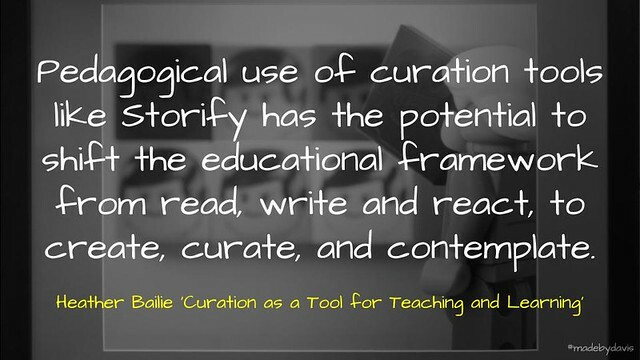 An introduction to Storify, a platform that allows you to curate tge content a number of social media platforms and then embed it within a blog. Incorporate different content, such as video, GIFs and audio, in order to improve engagement and communicate using a different voice. There are so many different forms of visuals that you can add to a blog, from a mind map to a sketchnote, each adding to the mental image of the reader. 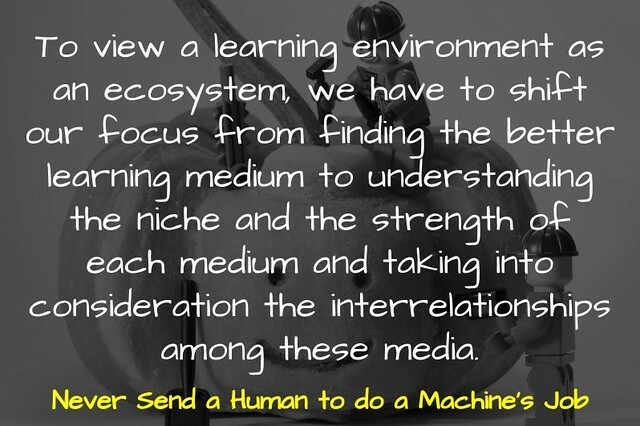 Another point of contact to embed in a blog. A guide to creating and sharing GIFs. Using Awesome Tables to create a more dynamic organisation of content for blogs. Some applications for creating video content, with examples to support. 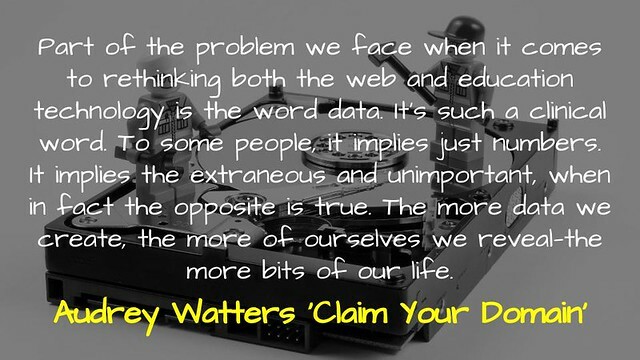 A review of Audrey Watters book on why it is important to claim our presence online and some steps to going about it. A review of Dan Haesler ‘s book. Although not solely about blogging, he touches on it throughout. A review of Will Richardson’s book unpacking connected learning. Blogging is an important part of this. A reflection on my experience of blogging with Reclaim Hosting so far. In response to AITSL’s dismal attempt to provide a list of bloggers for educators to read, this is my attempt to capture a local perspective.